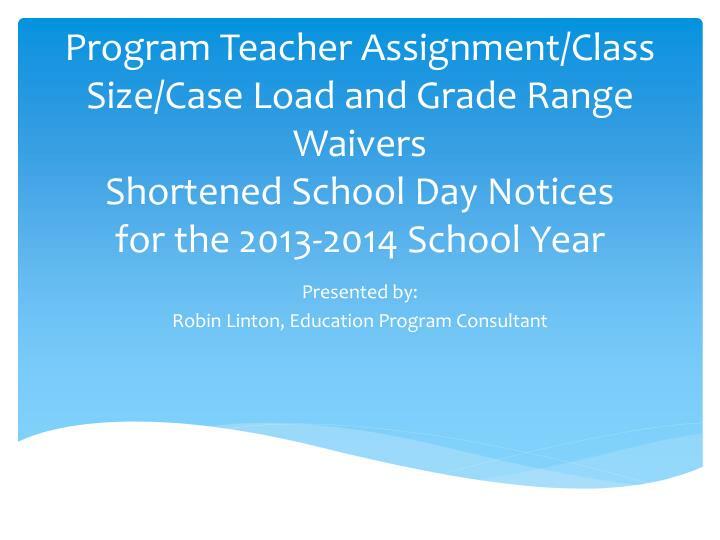 Program Teacher Assignment/Class Size/Case Load and Grade Range Waivers Shortened School Day Notices for the 2013-2014 School Year. 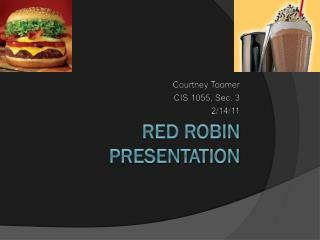 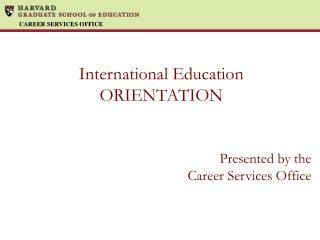 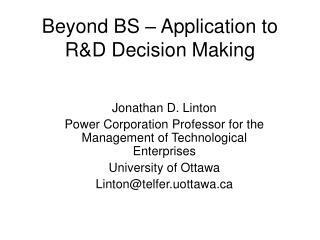 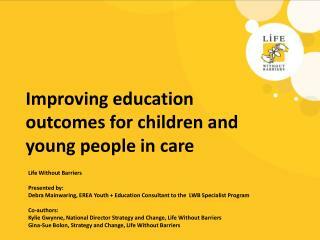 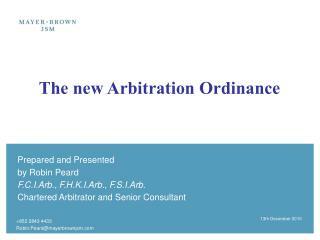 Presented by: Robin Linton, Education Program Consultant. 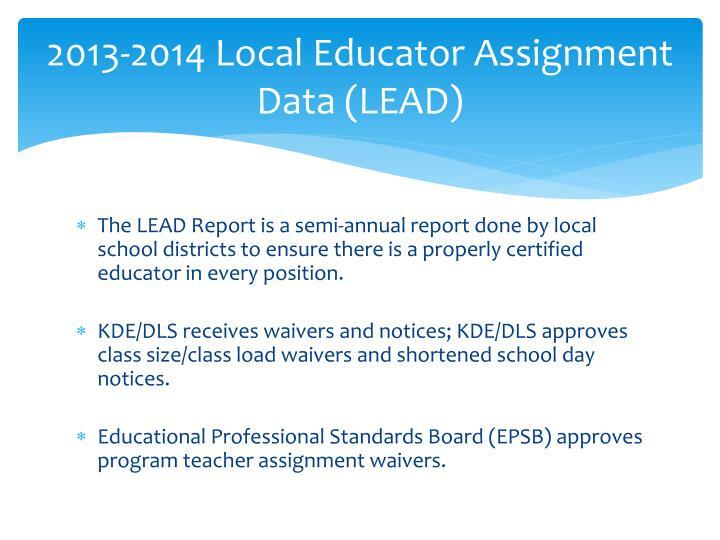 2013-2014 Local Educator Assignment Data (LEAD). 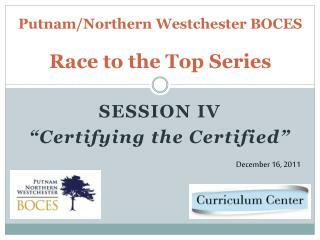 The LEAD Report is a semi-annual report done by local school districts to ensure there is a properly certified educator in every position. 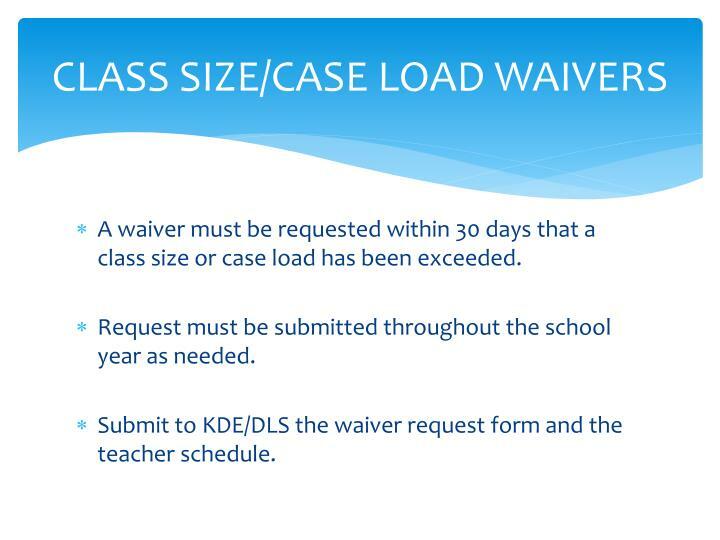 KDE/DLS receives waivers and notices; KDE/DLS approves class size/class load waivers and shortened school day notices. 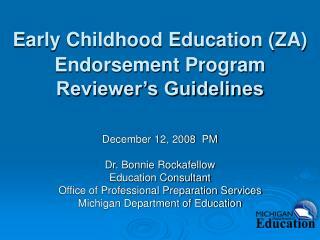 Educational Professional Standards Board (EPSB) approves program teacher assignment waivers. 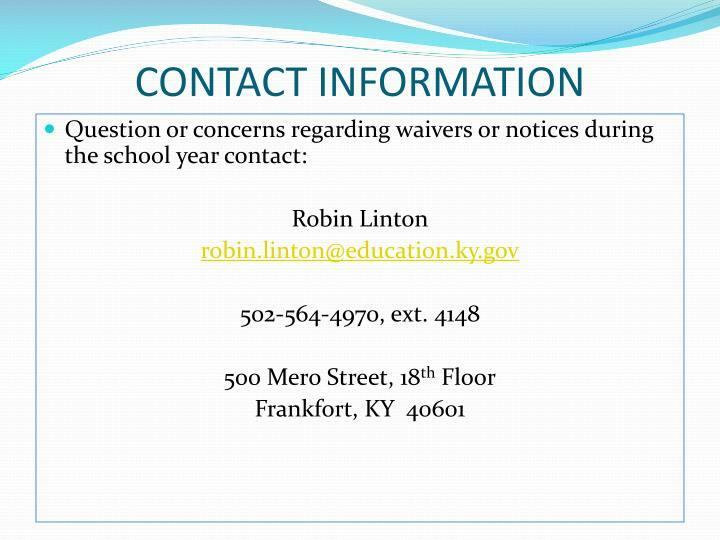 Waivers must be requested when there are special education assignments for a teacher who is not certified in the area of their assignment. 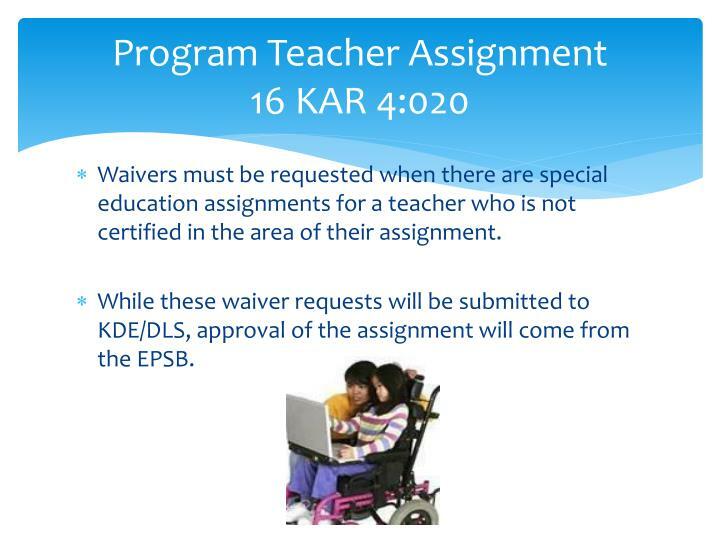 While these waiver requests will be submitted to KDE/DLS, approval of the assignment will come from the EPSB. 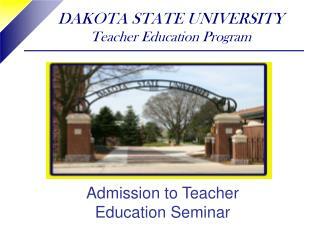 Submit the Program/Teacher Assignment request for waiver as soon as possible. 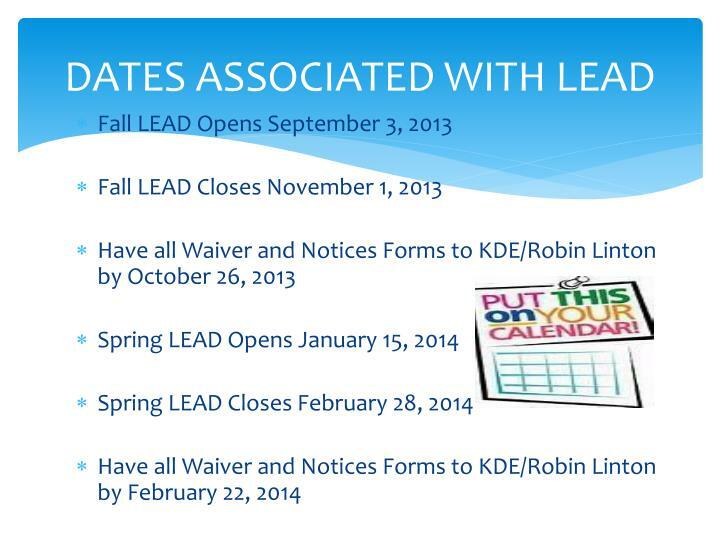 Last Day to submit waiver for Fall Semester is 10/26/2013. 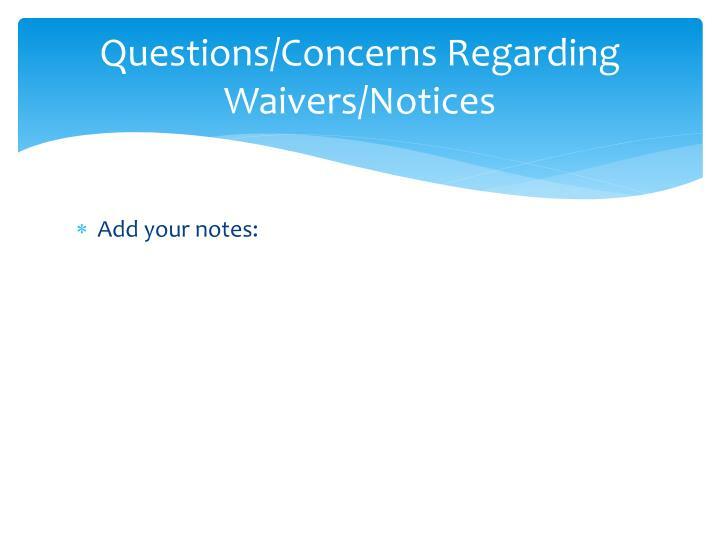 Do not submit the same waiver multiple times. 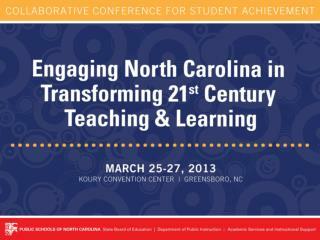 Submit to KDE waiver request form, teacher schedule and conference summaries of students being served. 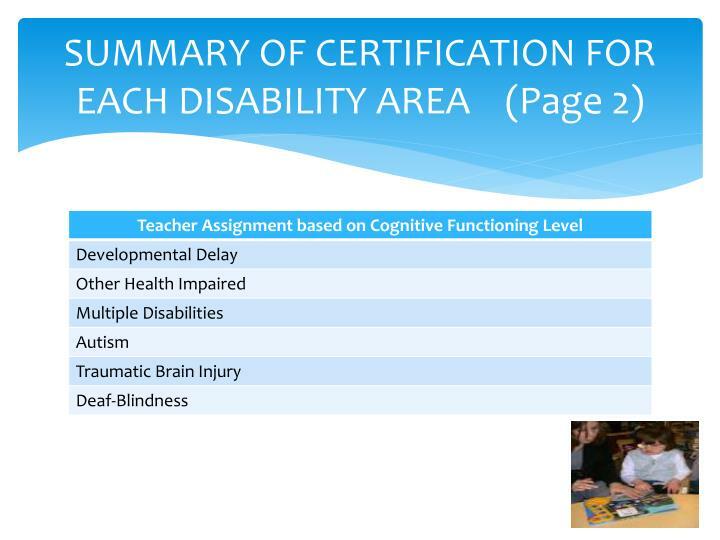 Class Sizes for the special class are the same as the Case Load of a special class and are based on the disability category of the majority of students served by a teacher. 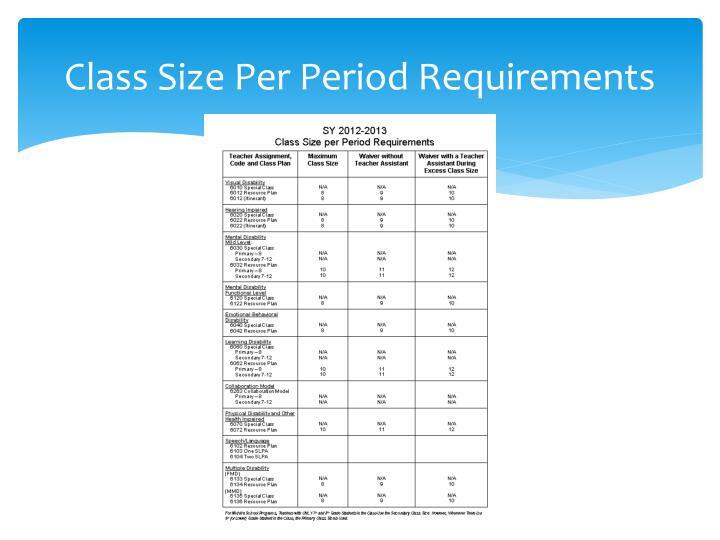 Regulations do not allow for a waiver for a special class per class period, but case load waivers granted for a special class will increase the class size per period. 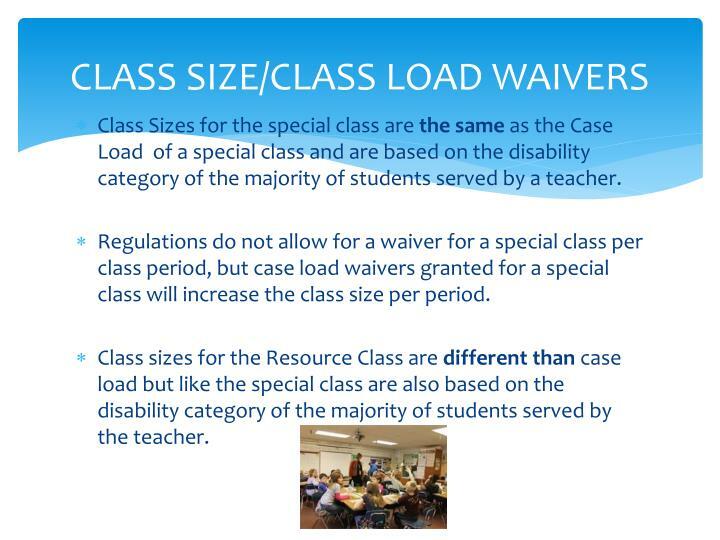 Class sizes for the Resource Class are different than case load but like the special class are also based on the disability category of the majority of students served by the teacher. 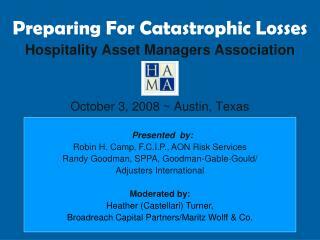 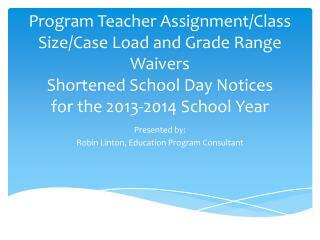 A waiver must be requested within 30 days that a class size or case load has been exceeded. 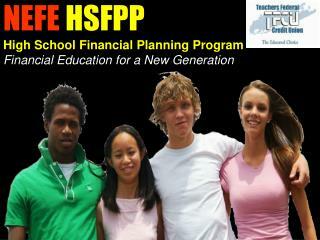 Request must be submitted throughout the school year as needed. 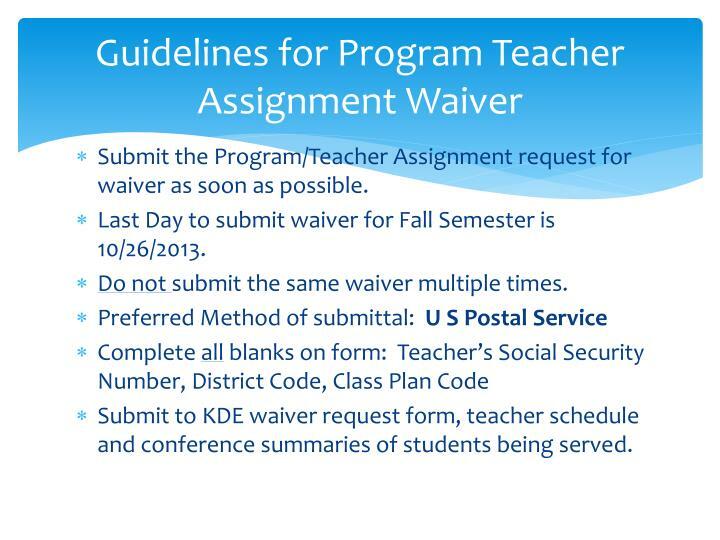 Submit to KDE/DLS the waiver request form and the teacher schedule. 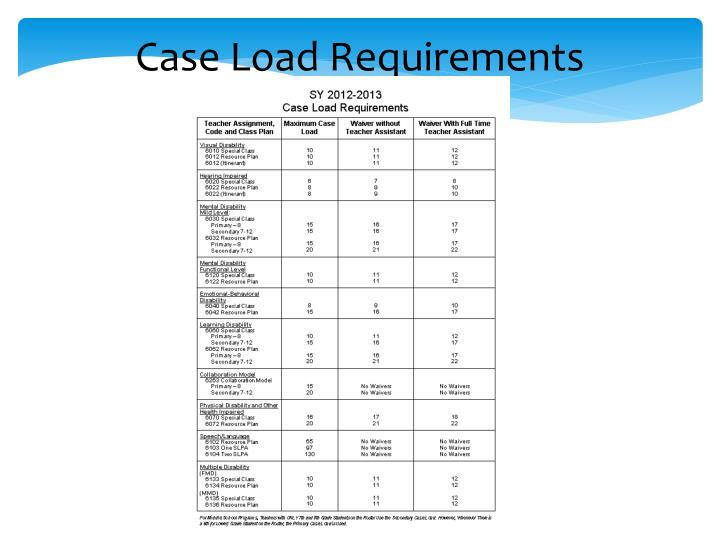 KARS no longer specifies age ranges either per period or for overall caseload. 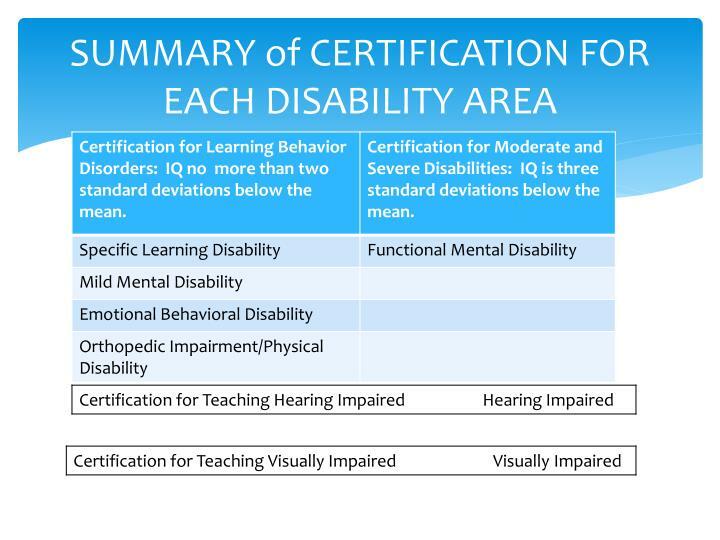 Age range issues are now viewed as Grade Range issues and are based on teacher certification, location of the class, and the level of the non-disabled students on campus. 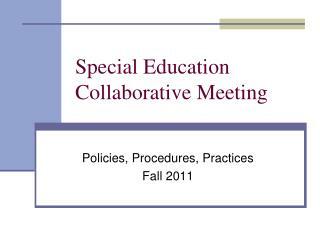 Special education students must be located on the same campus as their same age/grade peers. 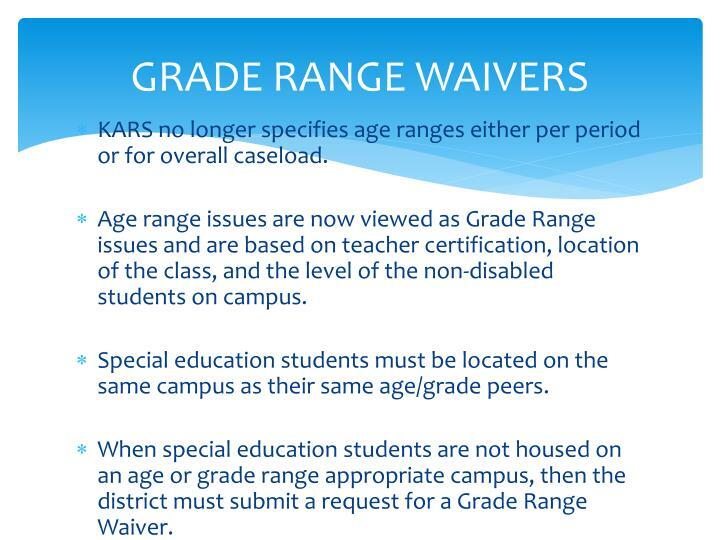 When special education students are not housed on an age or grade range appropriate campus, then the district must submit a request for a Grade Range Waiver. 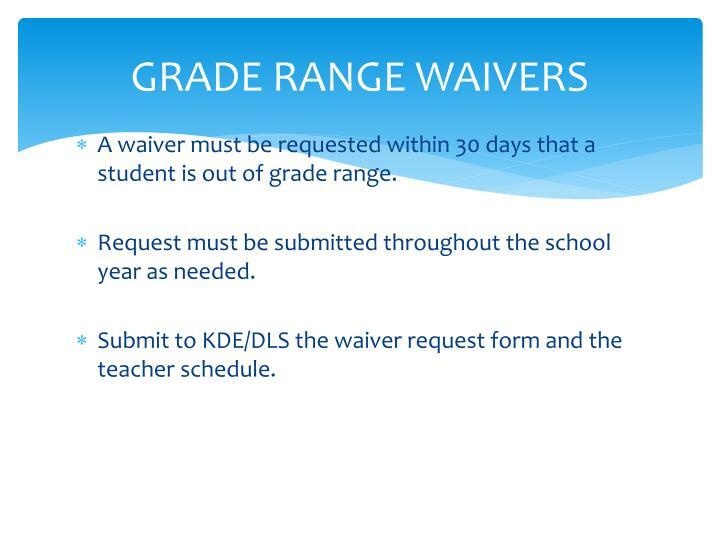 A waiver must be requested within 30 days that a student is out of grade range. 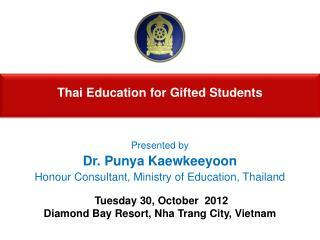 Shortened School Day is a Notice and Not a Request. 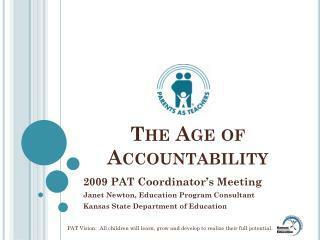 All documentation maintained locally to support attendance audit if one occurs. 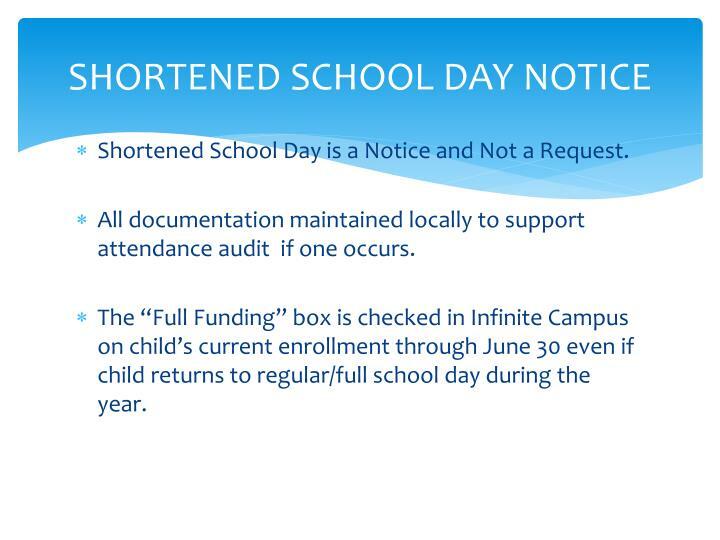 The “Full Funding” box is checked in Infinite Campus on child’s current enrollment through June 30 even if child returns to regular/full school day during the year. 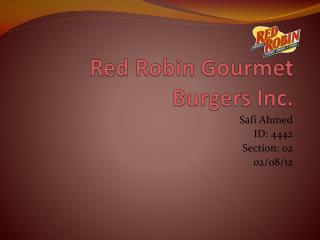 Medical statement signed by a physician. 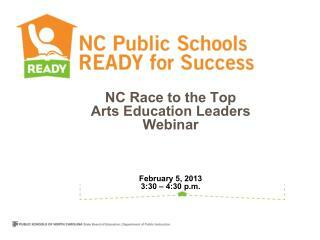 Documented determination by the student’s ARC that shortened school day is needed. 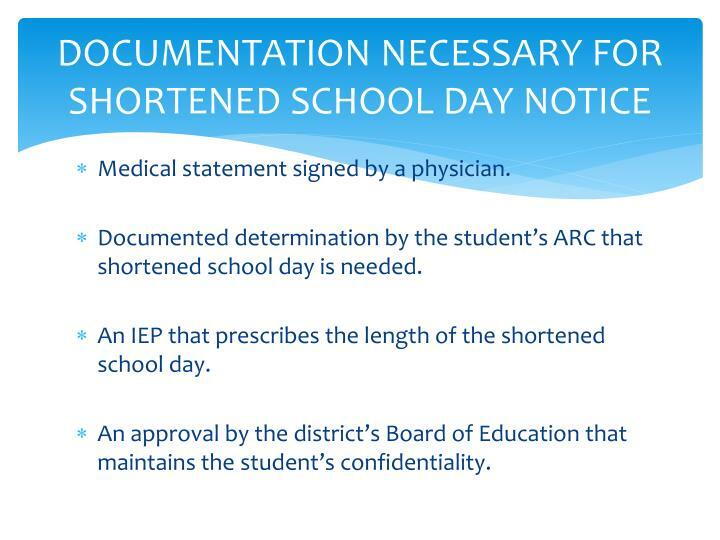 An IEP that prescribes the length of the shortened school day. 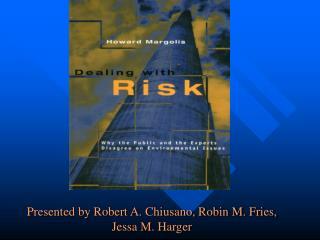 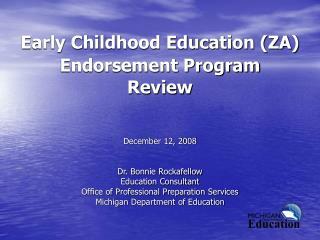 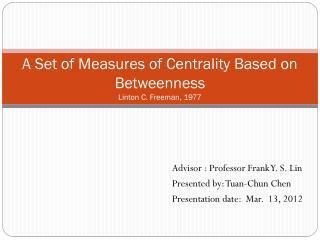 An approval by the district’s Board of Education that maintains the student’s confidentiality. 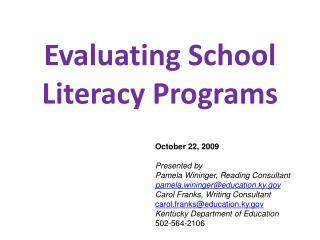 Confirmation there is a signed Medical Statement, ARC determined need, IEP reflects shortened school day and Board of Education approval for specified student. 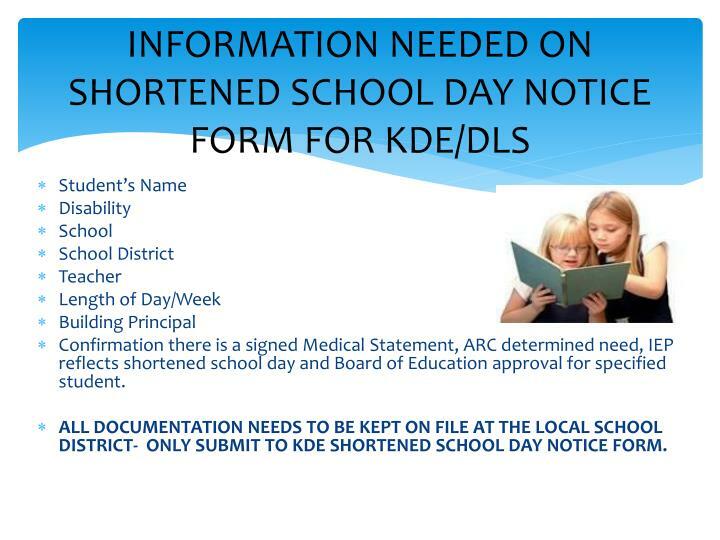 ALL DOCUMENTATION NEEDS TO BE KEPT ON FILE AT THE LOCAL SCHOOL DISTRICT- ONLY SUBMIT TO KDE SHORTENED SCHOOL DAY NOTICE FORM.